So when I am most focused on Christ. When I am more satisfied in HIM, what are the effects? • My journey through this life is more clear with less distractions than when I’m on my own. 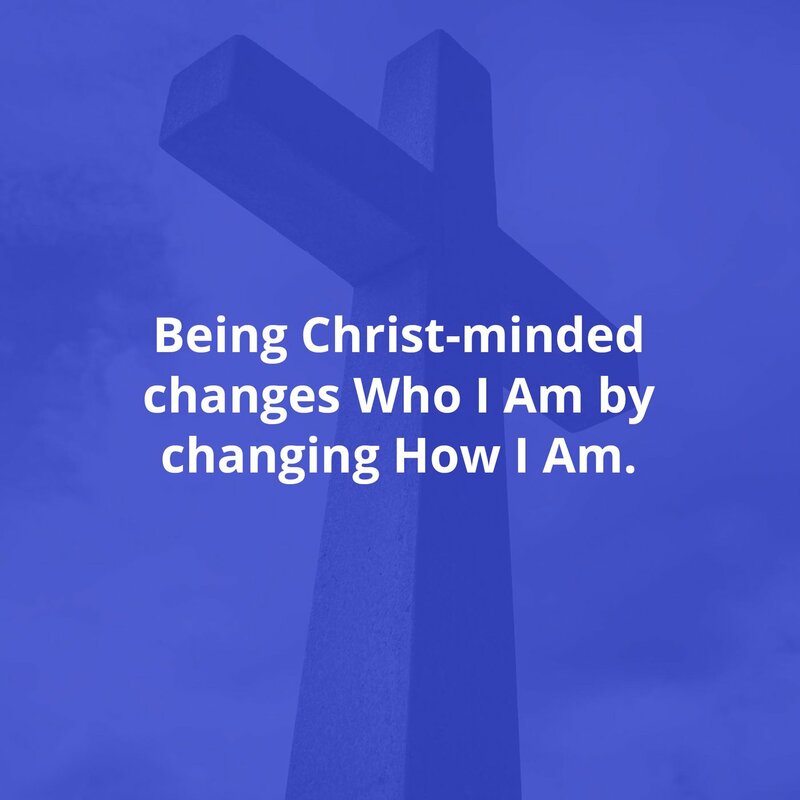 The Bottom Line: Being Christ-minded changes Who I Am by changing How I Am. It makes me feel that I cannot afford to life a day that I am not focused on Christ.